Crusin' papers are great for travel and lots of other things! 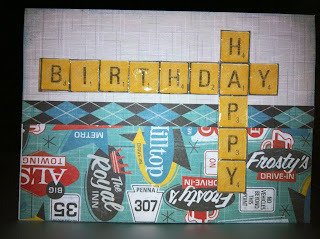 I fussy cut the Happy Birthday and then covered it with Liquid Glass to make it look more like scrabble tiles! 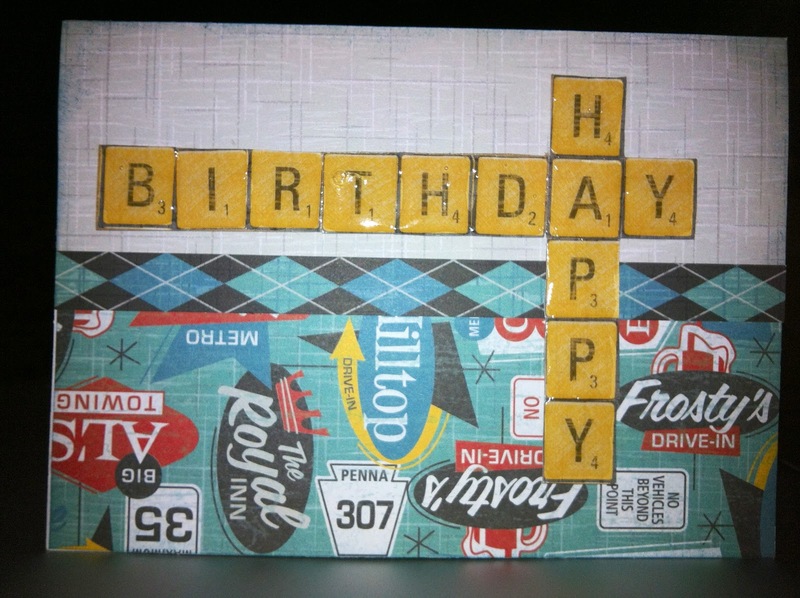 I used the Adventure USA Stamp for the sentiment and car and camper! It also has a stamp of the USA and lots of sights you might travel to! 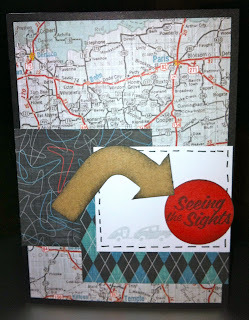 Milepost Embellishments finished the look with the arrow!